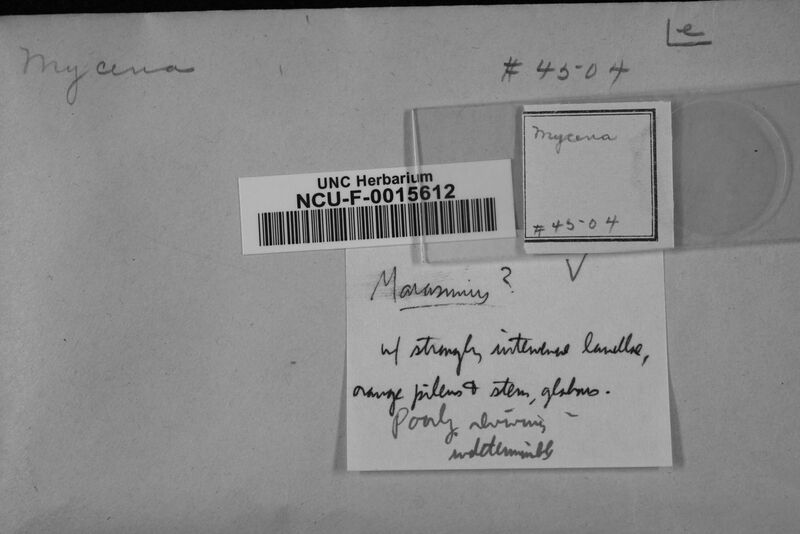 The University of North Carolina Chapel Hill Herbarium (NCU) was founded in 1908 by William Chambers Coker and is a Department within the North Carolina Botanical Garden of the University of North Carolina at Chapel Hill. NCU has ca. 17,000 macrofungi (esp. collections of William Chambers Coker & John Nathaniel Couch) and ca. 20,000 microfungi (esp. collections of Arthur Bliss Seymour). Cataloging of our macrofungi is complete; cataloging of our microfungi in mycoportal.org started in October, 2015. The Herbarium also curates vascular plants (world-wide, but with focus on native flora of Southeastern USA); red marine algae of temperate zone (esp. collections of Max Hommersand & Paul Gabrielson); lichens & bryophytes of southeastern USA (esp. collections of Gary Perlmutter); and plant fossils of the Devonian age (esp. collections of Patricia Gensel). NCU is located in the center of the University of North Carolina at Chapel Hill Campus and welcomes visitors & researchers. Contact Curator for information on hours & parking.